Phillips Federal and Optomec have partnered to offer the latter's additive manufacturing systems to government customers through a General Services Administration-run procurement portal. 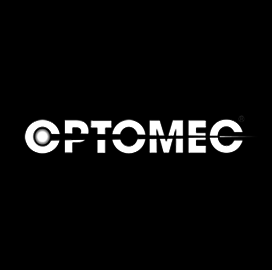 Optomec said Wednesday its Laser Engineered Net Shaping platforms are designed to produce and repair metal components from powdered alloy, composite and ceramic materials through layer by layer usage of high powered lasers. The system employs the Directed Energy Deposition metal 3D printing technology to print full parts at a fraction of the normal printing time and allows LENS equipment to incorporate metal into existing components for coating applications and repair scenarios. John Harrison, a vice president of Phillips Federal, said the partnership will allow the company to market a full range of offerings in response to the increase in demand for additive manufacturing tools.